Newspaper publishers "need to follow their readers" to mobile devices "if they want to preserve their newspaper’s voice in the community," Paula Seligson of the Southern Newspaper Publishers Association reports from a conference, “From Disruption to Transformation: New Strategies for Prosperity in a Digital Age,” this week at the University of North Carolina. "Multiple presenters echoed the same theme, that the industry has seen a watershed moment toward mobile," Seligson writes. "Tom Rosenstiel, executive director of the American Press Institute, and Robyn Tomlin, vice president of digital and communications at the Pew Research Center, presented complementing research that showcased the rapid changes in reader behavior." Tomlin said 39 of the 50 top digital news sites examined in Pew's 2015 "State of the Media" report get more traffic from mobile devices than from desktop computers. "Rosenstiel said this means newspapers need to be cross-platform: 'You don’t have a ‘print audience’ or a ‘mobile audience'." UNC's Penny Abernathy, author of Saving Community Journalism: The Path to Profitability, said the changes in readers' behavior force publishers to consider “what it means to serve our advertisers in this new world.” For SNPA's list of takeaways valued by publishers at the conference, click here. Critics of the Environmental Protection Agency's proposed water rules say the agency manipulated its public comments to produce a favorable response, Eric Lipton and Coral Davenport report for The New York Times. 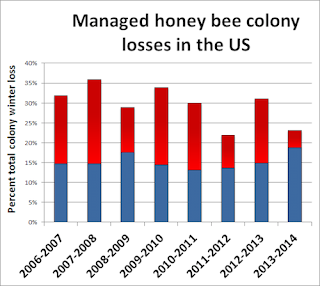 EPA chief Gina McCarthy "told a Senate committee in March that the agency had received more than one million comments and nearly 90 percent favored the agency’s proposal," Lipton and Davenport write. McCarthy is expected to cite those comments to justify the final rule, which is expected today or next week. But critics say EPA violated federal law that prohibits agencies to "promote government policy or to support or oppose pending legislation." EPA last year "sponsored a drive on Facebook and Twitter to promote its proposed clean water rule in conjunction with the Sierra Club," Lipton and Davenport write. "At the same time, Organizing for Action, a grass-roots group with deep ties to (President) Obama, was also pushing the rule. They urged the public to flood the agency with positive comments to counter opposition from farming and industry groups. The results were then offered as proof that the proposal was popular." The rule has led to mass confusion, with Republicans and farmers saying it will expand EPA jurisdiction. EPA says that's not true and rules are meant to to tighten the definitions of ditches, tributaries and farm-field erosional features to narrow what areas fall under the law's jurisdiction. Part of the confusion lies in the history of the rules, Davenport writes in another article for the Times. "The rule is being issued under the 1972 Clean Water Act, which gave the federal government broad authority to limit pollution in major water bodies, like Chesapeake Bay, the Mississippi River and Puget Sound, as well as streams and wetlands that drain into larger waters." "But two Supreme Court decisions related to clean water protection, in 2001 and in 2006, created legal confusion about whether the federal government had the authority to regulate the smaller streams and headwaters, and about other water sources such as wetlands," Davenport writes. "EPA officials say the new rule will clarify that authority, allowing the government to once again limit pollution in those smaller bodies of water—although it does not restore the full scope of regulatory authority granted by the 1972 law." "EPA also contends that the new rule will not give it the authority to regulate additional waters that had not been covered under the 1972 law," Davenport writes. "People familiar with the rule say it will apply to about 60 percent of the nation’s waters." Letters have been taking longer to arrive, especially in rural areas. To help address the disparity, National Newspaper Association CEO Tonda F. Rush said at a May 19 roundtable discussion hosted by a Senate committee, Congress should require the U.S. Postal Service to report the quality of mail service in rural areas. NNA Postal Committee Chair Max Health said he and the other postal executives are open to discussion about how rural mail delivery can be improved. "The Postal Service took a radical step when it began closing down the processing operations in smaller cities and moved them to the heart of urban America," said NNA President John Edgecombe, Jr., who publishes The Nebraska Signal in Geneva, Neb. "NNA is taking every possible step to get USPS to address the problems created by these closings." Rush said that USPS provides reports about how well it meets its service standards, but most of the information is about urban mail. However, the USPS did report slow service during the first quarter of 2015 for First-Class Mail that should have reached its destination in three days. In many places, that standard was only reached in 60 percent of cases. The Postal Service blamed the weather across the country. Sen. Jon Tester, D-MT said, "There was bad weather in the Northeast, but in Montana, we were in shirt sleeves. There is always going to be bad weather somewhere." For a 7 mb PDF of NNA's PowerPoint presentation to the Committee on Homeland Security and Governmental Affairs, click here. 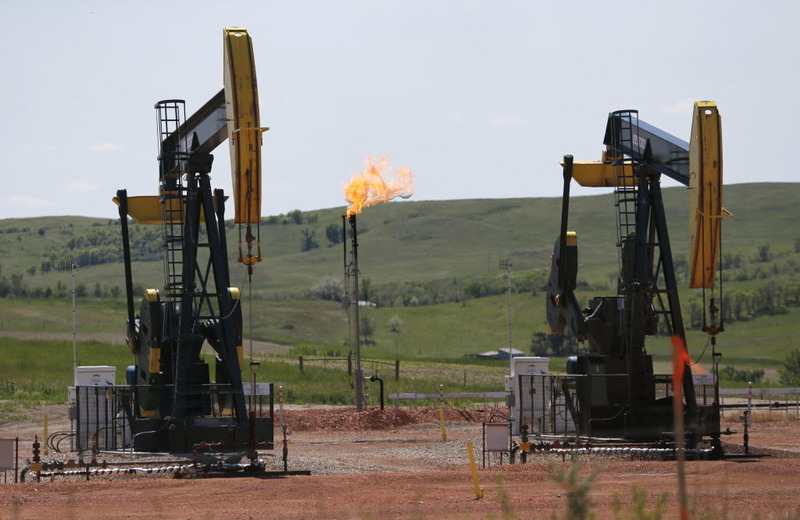 Murray Energy today will lay off about 1,800 workers—21 percent of its workforce—mostly at coal mines in West Virginia and Ohio, Timothy Puko and John Miller report for The Wall Street Journal. 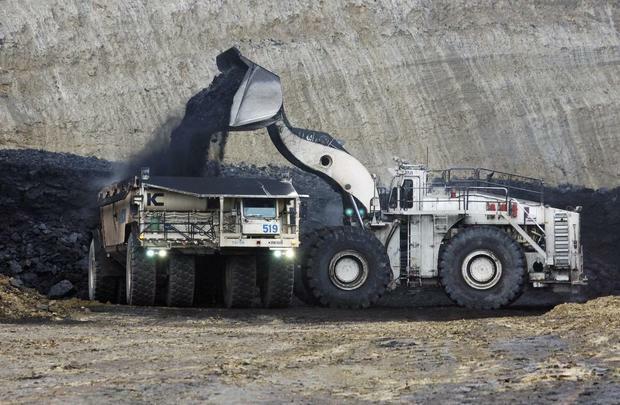 A spokesperson said the company made the decision on Wednesday "to make much bigger cuts than it had previously been considering because of growing concerns about the slumping market for thermal coal." UPDATE, May 22: Alpha Natural Resources announced it would close its underground Rockspring Development Camp Creek mine in Wayne County, West Virginia, "which will mean the loss of 439 jobs," Susan Cameron reports for the Bristol Herald Courier. Alpha said the decision was "based on the mine operator's current assessment of market conditions." 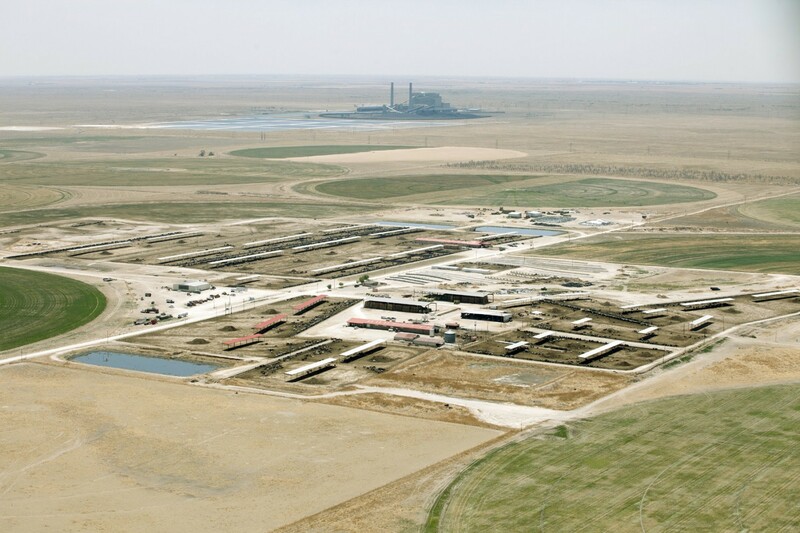 Coal fuels less than 40 percent of the country's electric power, down from 49 percent in 2007, Puko and Miller note. Coal prices have dropped more than 15 percent in the past year "and are permanently stuck below those of natural gas, which is suddenly plentiful and inexpensive thanks to shale drilling." New environmental rules have led many utilities to phase out coal as a source of power, with many power companies "expected to retire substantial coal-fired generation capacity from the grid, the Energy Information Administration says." 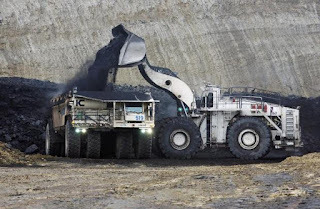 Murray Energy operates 13 active mines at 12 mining complexes located in Northern Appalachia, the Illinois Basin and the Uintah Basin in Utah, according to the Murray Energy Corporation. Here is a map of Murray Energy operations outside of Utah. In a win for freedom of information, the Ohio Supreme Court sided with the editor of a student newspaper at Otterbein University who had requested student and non-student criminal cases that had been referred to the Westerville Mayor’s Court. Otterbein has a student body of about 3,000. 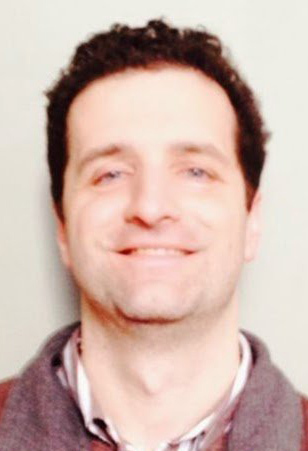 The January 2014 request by Anna Schiffbauer, an editor at Otterbein360.com, was denied by the university’s vice president and student affairs dean, who said the "private university’s police records are not public," reports the Society of Professional Journalists, which helped fund the case with a $10,000 contribution from its Legal Defense Fund. "Schiffbauer filed a mandamus action asking the Ohio Supreme Court to order the release of the documents." The bottom has fallen out of the market for tractors and combines, with John Deere taking the biggest hit, Spencer Jakab reports for The Wall Street Journal. "Analysts see Deere’s revenue this fiscal year falling to $27.3 billion—a drop of 22 percent compared with two years earlier. Caterpillar’s sales are off, too, but by just half as much over the same period." Record grain crops and train delays—blamed on increased shipments of oil and last year's bad winter—caused many farmers to store crops instead of selling for lower prices, which reduced the demand for tractors and combines and forced John Deere to announce plans last year to lay off 1,000 workers in Iowa. Investors are expected today to report John Deere earnings of "$1.56 a share for the fiscal second quarter through April, down sharply from $2.65 a year earlier," Jakab writes. "During the fiscal first quarter, Deere’s U.S. and Canada equipment revenue fell by 14 percent, while it plunged by 28 percent everywhere else, exacerbated by the strong dollar. 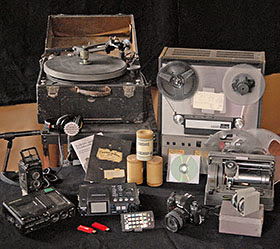 The company predicted global equipment sales would fall by 19 percent in the second quarter." 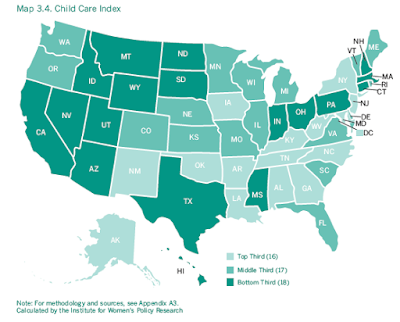 The annual cost of child care is higher than in-state college tuition in 31 states "and exceeds 40 percent of the average annual income of single mothers in 22 states," says a report by the Institute for Women’s Policy Research, Danielle Paquette reports for The Washington Post. Researchers wrote, “No state provides adequate child-care supports to a majority of children under five." Researchers looked at the cost of full-time daycare for infants and the number of 4-year-old enrolled in publicly funded Pre-K or equivalent programs, Paquette writes. The cheapest annual cost of daycare is in Alabama, at $5,547, or about 16 percent of a working mother's income. The cost is $16,500 in Massachusetts, $14,500 in New York, $12,500 in Illinois and $11,628 in California. Rates climb even higher in urban areas. "Over the last three decades, weekly out-of-pocket spending on child-care for families with an employed mother has almost doubled, according to the Census Bureau," Paquette writes. One problem is a lack of reliable, affordable daycare, which causes some women to quit jobs or settle for jobs below their skill sets or part-time work in return for more schedule flexibility, said economist Ariane Hegewisch. Another problem is that only 17 percent of children eligible for child-care subsidies under the federal parameters in 2011 received the assistance, the report found, Paquette writes. "An estimated 43 million workers can’t take a sick day without shrinking their paycheck, according to the National Partnership for Women and Families. They’re often forced to choose between a chunk of wages or, say, taking their child to the doctor." 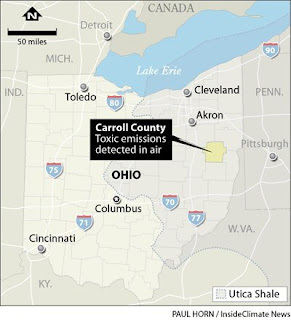 Researchers who took samples from Ohio's most heavily fracked county found that toxic pollutants levels are higher than what the Environmental Protection Agency considers safe for long term exposure, David Hasemyer reports for InsideClimate News. Researchers from Oregon State University and the University of Cincinnati found chemicals released during oil and gas extraction that can raise people's risk of cancer and respiratory ailments in samples from Carroll County, home to 480 permitted wells. Republicans say the stricter rule will kill jobs, Cockerham writes. The House Subcommittee on Energy and Mineral Resources, which has jurisdiction over mining, "backs a measure by West Virginia Republican Rep. Alex Mooney, which would block the Interior Department’s Office of Surface Mining from implementing the rule, calling for a study within two years, then a year of review, before any new stream protections." "National Mining Association president Hal Quinn argued in testimony to Congress last week that the federal government has shown no need to act and that even the Office of Surface Mining’s own analysis of an earlier version of the rule said it would cost 7,000 jobs," Cockerham writes. "The Shaping Our Appalachian Region program, known as SOAR, can’t provide a new regional vision for Eastern Kentucky’s economy; we have to provide it ourselves," writes Jason Belcher, Eastern Kentucky business owner and author of Nexus of Innovation: The Promise of Eastern Kentucky. Belcher attended last week's SOAR strategy summit in Pikeville, Ky.
"There are literally dozens of ways for individuals to access resources to turn their ideas into reality," Belcher writes. "I’m one of them. Thanks to the Kentucky Innovation Network, I’ve been able to start my own business, Appalachian Aerospace, looking to build the next generation of commercial unmanned aerial vehicles. Aerospace is a major growth industry, and commercial drones alone are projected to generate $9 billion in economic activity over the next decade." "Growth industries represent potential building blocks for a regional economy," Belcher writes. "Because the market segments are global, these industries are capable of sustaining a regional economy through large-scale job creation and revenue in-flows. Capturing a global market segment is a good way to build a strong regional economy capable of providing the jobs we need and the future we want. Morehead State University’s Space Science Center already has a toe hold in the Aerospace field, and our region can leverage that to gain a share of this global market segment." "Eastern Kentucky can position itself to compete for ownership of multiple global market segments if we make the right choices today," he writes. "As a region, our economic future depends on our ability to think globally but act regionally . . . If we steer more growth industries here, the result will be an influx of high-tech, high-paying jobs." The Cornucopia Institute says aerial photos it released in December prove that 14 organic operations are not allowing animals to engage in their natural behavior and have free access to the outdoors, Whoriskey writes. According to organic rules, "cows, goats and sheep are supposed to be able to get to pastures for grazing." USDA, which said the five dairy farms and 14 chicken operations are in good standing, said the photographs are not evidence enough to warrant an investigation, Whoriskey writes. The operations, which supply stores such as Walmart, Target and Costco, according to the watchdog group, claim that the animals get outside but just happened to be inside when photos were taken. By the end of next year, a comprehensive set of rules will limit the use of antibiotics in animals. December 2016 is the end of a three-year phase-in of the new Food and Drug Administration guidelines, which require 280 antimicrobials considered important to human health "be labeled strictly to treat and prevent disease and no longer to accelerate weight gain," Agri-Pulse reports. An FDA directive on use of antibiotics in food and water is expected soon. Some food industry players such as McDonald's are already supporting the initiative. The restaurant chain will soon stop buying meat that comes from animals treated with medically important antibiotics. Critics have said the rules rely too much on voluntary compliance, but "Larry Granger, a leader in USDA's Antimicrobial Resistance Program, says a Southern rancher who's used to putting antibiotics in water during the summer to fight anaplasmosis (a wasting disease spread by ticks) will have to get a vet to approve the treatment before a pharmacy will dispense the drug," Agri-Pulse reports, noting that livestock owners who don't have convenient access to a veterinarian will need to get accustomed to the standards, which require the approval of a vet for antibiotic purchase and use. The Farm Foundation held a roundtable discussion to help livestock owners learn how to adjust. In the summer and fall it will hold 10 public forums across the U.S. for producers. Although farmers and ranchers have questioned the FDA's broader regulatory reach, they aren't contesting it much because too many antibiotics can also make them less effective in farm animals. Also, overuse of antibiotics increases resistant strains of pathogens that can harm humans. Grady Bishop, representing Animal Health, a top maker of animal health products, said those in the animal health industry can abide by the new rules by "using antibiotics intended for animals only, such as ionophores, a class of antibiotics never used on humans; using vaccines, enzymes or other products; or finding new animals husbandry practices to prevent or treat diseases." California firefighter Randy MacDonald testified on Capitol Hill last week that advances in technology, particularly in rural areas, are making the 911 system "harder to use [and] less reliable and interfering with critical lifesaving features like enhanced 911, which provides dispatchers with the caller’s location," Tim Marema reports for the Daily Yonder. "The deficiencies are the result of changes in communications technology, which sees telecommunications companies and consumers moving to cell phones and Internet calling services instead of traditional copper wire systems that have been around for a century or more." MacDonald, testifying at the event coordinated by the National Rural Assembly, the Rural Broadband Policy Group, and Public Knowledge, suggested three things Congress should consider for its telecommunications policy: "Put public safety first; ensure that new digital networks are at least as sturdy and reliable as the old copper-wire system; and do a better job of informing Americans that expanded choices in telecommunications can also make them more vulnerable during emergencies." Texas Republican Gov. Greg Abbott on Monday signed a law "that restricts how municipalities can regulate oil and gas drilling operations within their city limits," Marissa Barnett reports for The Dallas Morning News. 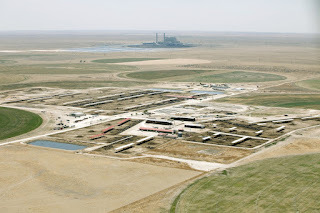 The law, which goes into effect immediately, will "pre-empt cities from enacting a variety of other ordinances, including regulations on wastewater disposal wells, which numerous studies have tied to earthquakes." An individual living in a poor or rural community has almost a 12 percent chance of having chronic obstructive pulmonary disease, compared to the national average, which is slightly higher than 7 percent, according to a study by the Johns Hopkins University School of Medicine, Roberta Alexander writes for Healthline. COPD is one of the top causes of death in the U.S., said Sarah Raju, the study's lead author. The study found that living in the South or a rural area or in an area with community poverty were associated with COPD prevalence, but community poverty became insignificant when individual income was factored in. The survey included 87,701 participants all older than 40. Some of the patients had never been formally diagnosed with the illness but had emphysema, bronchitis or asthma. COPD is a general term for emphysema—the enlargement of air sacs—and chronic bronchitis—the narrowing of the air tubes, said Linda Nici, the chief of the pulmonary/critical care section at the Providence Veterans Administration Medical Center in Rhode Island. One effective way to avoid contracting COPD is not to smoke or to quit smoking. This is especially important in adolescence. "Researchers found an associated between biomass fuels and COPD in the South" and "suggest further research to understand the potential contribution of occupational exposure, fuel sources and indoor air pollutants to COP prevalence in poor, rural areas," Alexander writes. Today the Obama Administration unveiled a plan to tackle rural poverty that will focus on 10 communities, particularly in the Deep South and on Indiana reservations. The communities have yet to be selected. The plan is designed to provide "more health care, child care and food to families in remote rural communities" and "will focus on programs that help a family as a whole unit, as opposed to separate programs for parents and children," Marisol Bello reports for USA Today. Programs will include job training and "look at providing mobile services, such as trucks that offer groceries." USDA also will focus on "providing more food to children during school, after school and during the summer months," Vilsack said. Other strategies will include preventing a tax increase for 16 million working families with children, helping states expand Medicaid, increasing minimum wage, making two years of community college free, improving access to health services and encouraging federal agencies to work together and with external partners in efficient ways, according to a White House press release. The World Trade Organization ruled against a U.S. appeal "to keep its country-of-origin labeling (COOL) rule for imported cuts of beef and pork," Lydia Wheeler reports for The Hill. WTO said the rule "violates U.S. trade obligations and imposes a disproportionate burden in record-keeping and verification requirements on meat producers and processors." In response, the House Agriculture Committee today approved a bill to repeal the COOL law. Spencer Chase reports for Agri-Pulse, "The bill was reported to the full House by a vote of 38-6, with the backing of all committee Republicans and with a 13-6 margin of support from Democrats. One of the votes against the bill was from the committee's lead Democrat, Minnesota's Collin Peterson, who opposes full repeal and thinks the bill is being rushed." Peter told Chase, "I don't think it's the best way to avoid retaliation, and, quite frankly, I don't think the Senate will be able to pass a repeal. I think we need to look at the big picture and work together to come up with a solution that will get us where we want to get and resolve this issue." Other Democrats voting against the measure were Tim Walz and Rick Nolan of Minnesota, Jim McGovern of Massachusetts, Michelle Lujan Grisham of New Mexico, and Ann Kuster of New Hampshire. Canada and Mexico argued that the rule puts its countries' meat at an unfair disadvantage in the U.S. market, Wheeler writes. COOL regulations, which were issued in 2013, required "that meat packaging give more information about where the animals were born, raised and slaughtered. Under the rule, the label on a cut of beef could theoretically read 'Born in Mexico, raised in Canada, slaughtered in the U.S.A.'"
Industry groups cheered the ruling. Critics of COOL said they fear it would cause retaliation by Canada and Mexico "imposing billions of dollars worth of tariffs on U.S. food, agriculture and manufacturing," Wheeler writes. Our friend Ed Henninger writes a very good column for newspapers about design and layout on his site, and we recommend it to editors. 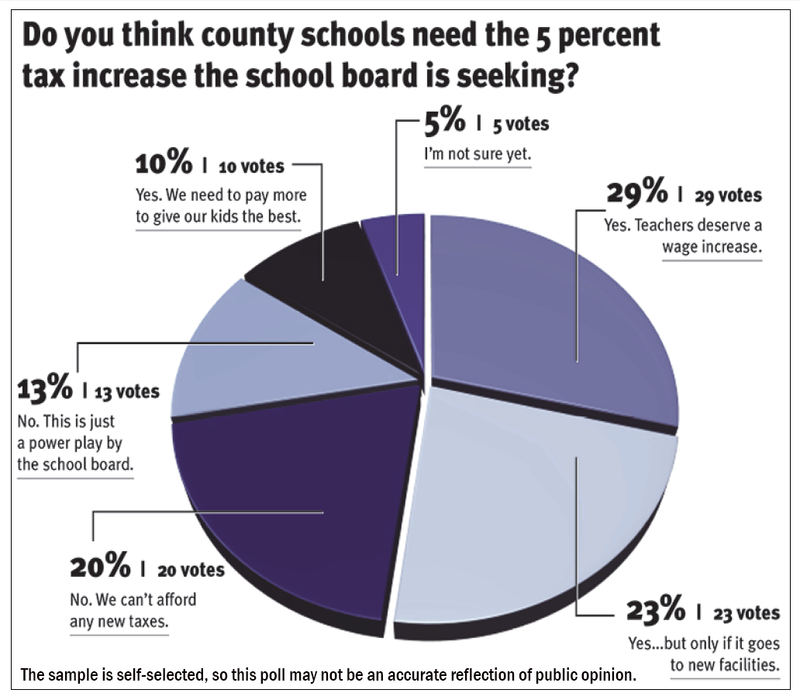 Ed's latest column, about the value of running reader polls on opinion pages, has many good ideas, including the chart above (click on it for a larger version), but I think he left one out. Reader polls are not the same as the public-opinion polls normally reported in newspapers and other media. The latter polls are based on some type of scientifically generated random sample and usually conducted under accepted standards designed to make the polls as reliable as possible—in other words, to be an accurate reflection of public opinion at the time they are taken. Reader polls don't work that way. They are self-selected, meaning that the sample is determined by the people who want to give their opinion. Thus, they are not scientific and may not be an accurate reflection of public opinion. Most readers and viewers probably don't realize that, but news outlets rarely tell them. By failing to do that, the outlets are not being fully honest with them. I recommend that any news outlet running a reader poll include this disclaimer or something like it: "Because the sample for this poll is self-selected, it is not a scientific survey and may not be an accurate reflection of general public opinion." Or, simply use this label: "Not a scientific poll." Or something that fits, as shown in the revised version of Ed's poll chart, above. According to The Road Information Program, which says it supports policies to reduce traffic congestion, "traffic crashes and fatalities on rural roads are disproportionately high, occurring at a rate nearly three times higher than all other roads," the Portland Press Herald reports. "Years of inadequate transportation funding have left a deficient rural transportation network that does not meet present-day demands," said Janet Kavinoky, executive director of transportation and infrastructure at the U.S. Chamber of Commerce. The 10 states with the highest non-Interstate traffic deaths in 2013 were Texas, California, North Carolina, Florida, New York, Pennsylvania, South Carolina, Alabama, Georgia and Ohio. "A lack of desirable roadway safety features, longer emergency vehicle response times" and higher speed limits are responsible for the disparity, according to the report. TRIP says 10 states with the highest percentages of rural roads in poor condition are Michigan (37 percent), Rhode Island (32 percent), Hawaii (31 percent), Idaho (31 percent), Kansas (30 percent), West Virginia (29 percent), Oklahoma (27 percent), Maine (26 percent), Alaska (25 percent) and New Mexico (25 percent). The question of whether or not genetically modified organisms should be labeled rests on one concept: what the consumers want to know, not what the producers think they should know, agricultural economists Daryll E. Ray and Harwood D. Schaffer of the University of Tennessee write for the Daily Yonder. 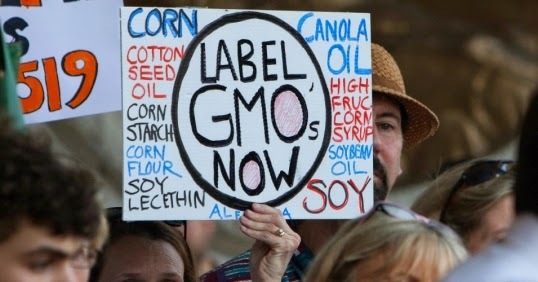 In February, the National Association of State Departments of Agriculture announced its support of regulating GMO labeling nationally instead of leaving the decision up to each state. Representative Mike Pompeo of Kansas introduced a bill titled The Safe and Accurate Food Labeling Act of 2015, which "would establish a federal labeling standard for foods with genetically modified ingredients, giving sole authority to the Food and Drug Administration to require mandatory labeling on such foods if they are ever found to be unsafe or materially different from foods produced without GM ingredients." Innovations like the Internet, social media and mobile devices have changed how we interact with the news, and have posed challenges to traditional news organizations. These changes have prompted experts to consider how news coverage can be improved. "Local public television outlets blanch at asking about money in politics," Anne MacKinnon writes for the Brookings Institution. "Even in the old days, some papers considered news a personal indulgence that hurt fat profit margins. . . . Now big margins have disappeared, and new owners resist news." MacKinnon moved to Wyoming in 1979 to follow the coal industry from Appalachia and became the editor of the Casper Star-Tribune. Twelve years later, the John S. and James L. Knight Foundation helped her create WyoFile, a non-profit new site that relies on three staff writers, reader donations and grants. The articles can be read on almost any device and can be republished for free. The HIV outbreak in rural Austin, Ind.—with more than 153 confirmed cases—serves as a warning to areas across the U.S. with similar qualities. Rural places everywhere share characteristics that led to the outbreak in Austin. "Many struggle with poverty, addiction and doctor shortages, and they lag behind urban areas in HIV-related funding, services and awareness, and the lack of anonymity that gives rural towns their charm foments a strong stigma that discourages testing and treatment," Laura Ungar and Chris Kenning report for USA Today and its Louisville sister, The Courier-Journal. " "It's not only possible; it's probably it will happen somewhere else," said Austin Clerk Treasurer Dillo Bush. "And . . . it could get out of control very quickly." The federal Centers for Disease Control and Prevention has issued a national advisory to states, health departments and doctors to become aware of groups of drug users who have HIV and hepatitis C. HIV is already a problem in other rural areas. More than half the cases of HIV outside metropolitan areas are in Alabama, Mississippi, South Carolina and North Carolina. In Kentucky, Tennessee, Virginia and West Virginia, prescription painkiller abuse—which caused Indiana's outbreak—more than tripled between 2006 and 2012, Ungar and Kenning note. In Austin, the drug problem went undetected by outsiders for many years. Families injected drugs together, often sharing needles, and some addicts would inject themselves between four and 15 times per day. "Drug culture often thrives in economically marginalized rural areas without treatment centers like Austin, where one in five residents live in poverty, one in five have no high-school diploma and there's little to do," said Ruth Carrico, an infectious-disease expert at the University of Louisville. A lack of health education, transportation and funds compound the issue, they write. Historical funding has historically neglected rural areas, said Janice Probst, director of the South Carolina Rural Health Research Center. "HIV rates have been going up in rural areas . . . (but) there's an exclusive focus on the largest public health agencies." In a set of four essays published in the latest volume of the State Education Agency of the Future, writers offered suggestions for education agencies to provide support for rural schools, Andrew Ujifusa writes for Education Week. In the first essay, Paul Hill challenges the traditional definition of "rural," arguing that it denotes more than just place. He recommends that rural politics be approached on a personal, case-specific level, focusing on solutions instead of rules. His suggestions for rural education improvement were funding flexibility and "greater incentives for rural districts to share resources and strategies," Ujifusa writes. 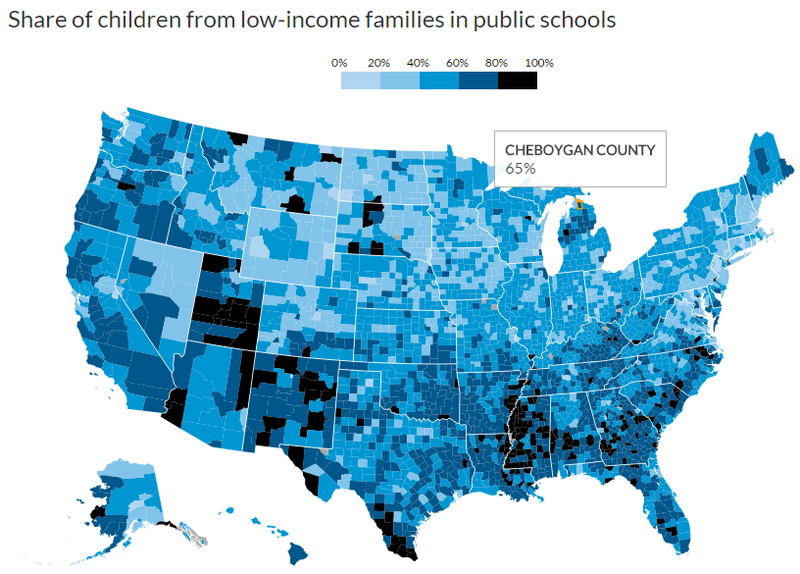 Marguerite Roza of Georgetown University writes that policymakers should consider the characteristics of rural schools that offer opportunities, not just the concerns that cause disparities. To help, Roza says state education departments should consider "allocating funds based on students and student characteristics . . . eliminating specifications around service delivery . . . (and) promoting shared services across districts instead of consolidation." In an essay, "How Productivity Can Boost Productivity in Rural Schools," academics and other experts stress the importance of broadband and Internet access: "Recognize that the state plays a limited but critical supporting role. While many smaller, rural districts appreciate state support, universal mandates are less likely to be responsive to local needs and cane become a political lightning rod." Some of the highest rates of low-income students in public schools are in the rural South, according to data from the Southern Education Foundation, and a report by The Urban Institute this week found that poverty manifests itself unevenly throughout counties and across race. Since 2004-2005, the majority of the South's public school students have been eligible for free or reduced price lunch, which requires low income, Allie Yee writes for Facing South, a publication of The Institute for Southern Studies. Reed Jordan wrote in The Urban Institute's report: "In many parts of Kentucky (such as Jackson, Owsley and Clay counties), 60 percent or more of all students are from low-income families. A similar belt of rural poverty stretches across Mississippi, Alabama and Georgia." Example of data from interactive map, available here. Across the nation, both low-income students and African American students are six times more likely than non-poor and white students to attend high-poverty schools in which at least 75 percent of the students are low-income. In the South, non-poor and white students are still less likely than their counterparts to attend high-poverty schools, but they are more likely to do so than non-poor and white students in other areas of the country, Yee reports. By law, mental health benefits must be offered equally to medical and surgical benefits if the plan offers them, but this isn't always the case. That's likely more of a problem in rural areas, where mental-health services are usually harder to get anyway. Not only does a 2008 federal law require most employer-sponsored plans to provide equal access to mental health benefits, but that parity was expanded and strengthened in 2010 by the Patient Protection and Affordable Care Act. Twenty-three states require some level of parity. Common requirements of these laws prohibit insurers from charging higher co-payments and deductibles for mental-health services; require insurers to pay for mental-health treatment in the same scope and duration as medical treatments; and so on. While insurers typically keep track of the copayment and deductible requirements, they struggle with keeping track of the compliance requirements related to actual delivery of medical services, Michael Ollove reports for Stateline. A recent report by the National Alliance on Mental Illness found that nearly one-third of those surveyed were denied authorization for mental-health and substance-abuse treatment, with this rate nearly twice as high for those on Obamacare plans. The survey was conducted by Avalere Health and is based on a survey of 2,720 individuals with mental illness or with someone in their family with mental illness and an analysis of 84 insurance plan drug formularies in 15 states. One of the main obstacles for consumers and providers is that it is not clear what criteria insurance companies and managed-care Medicaid organizations use to determine medical necessity for mental-health and substance-abuse care, and aren't transparent with this information. "Without that information," Ollove wrotes, "it is difficult for regulators and consumers to determine whether the denial of coverage is warranted." Because of the little to nonexistent snow on many mountain ranges in Washington, Gov. Jay Inslee announced a statewide drought emergency last Friday. Snowpack levels are only 16 percent what they usually are, and they are 10 percent lower than in 2005 during the last statewide drought emergency, Natasha Geiling writes for Think Progress. "Rain amounts have been normal, but snow has been scarce. And we're watching what little snow we have quickly disappear." Inslee said the drought will be "unlike anything we have experienced," Karen Taylor reports for KGMI Radio in Bellingham. The drought will not affect citizens living in populated areas like Seattle as much because they have municipal water, ecology department director Maia Bellon said. However, farmers and rural communities will need assistance from the state to deal with the shortages. 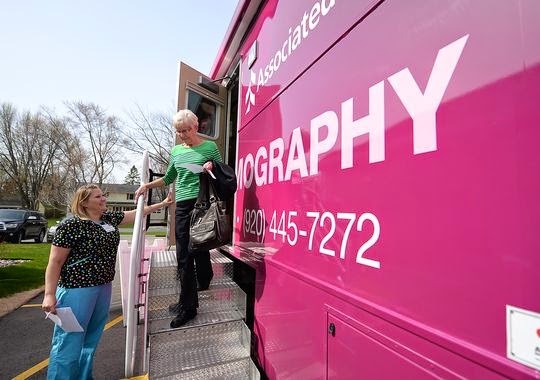 A partnership between Bellin Health Care and a Wisconsin bank resulted in a new approach to women's healthcare in northeastern Wisconsin: a pink bus that is the first mobile mammography and bone-density test unit, Shelby Le Duc writes for the Green Bay Press-Gazette. "We realized this higher incidence of cancer was caused by poor access to regular screening or mammography," said George Kerwin, president and CEO of Bellin Health. The bus will "improve mammography access to rural communities and as a result improve the health of this population." The project is supported by Associated Bank. Bellin Health recommends that women "have a yearly mammogram starting at age 40, unless a patient has a family history of breast cancer, in which case screenings should begin earlier," Le Duc writes. "Bone density tests should be performed every two years for women over 50 to detect signs of osteoporosis.